Stick to your plan: If you have followed a training plan to this point, you need to trust it now. You will probably do 1 more long run this weekend and then have a period of tapering. Stick to this plan. If you have missed any training runs do not be tempted to try and fit in extras over the next 2 weeks. The gains you will make are tiny and not enough to risk the extra load and possibility of picking up a last minute niggle. Be nice to your body: Over the next 2 weeks take the opportunity to listen to your body and let the tired bits settle down. If you are aware of any tightness or strains take the time to do a bit more stretching or foamy rolling. Do your background conditioning thoroughly, keep your mobility exercises going and ensure your hips stay loose. Eat and drink normally: Stick to your normal diet over the next couple of weeks. Don’t suddenly change to higher protein diets or a more carb diet. It takes a long time for your body to adapt to a new diet – 2 weeks is definitely not enough. 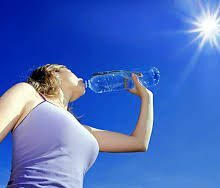 Stay well hydrated but do not be tempted to drink more than usual. Over hydration is probably responsible for more poor performances than de-hydration. On the day only drink what you have used in training. Don’t try a new sports drink on the day, it is amazing how often people react badly to different drinks and spoil their performance. Don’t change your shoes: In the past I have treated people who tell me that they are saving their new shoes for the big day. Even if they are exactly the same as the shoe you have trained in, do not plan to run in new shoes. Save the new ones for your next block of training and let the old ones take the glory in 2 weeks time. Start to watch the weather forecast: Planning what you are going to wear is important. At this time of year on the South Coast you could get any sort of weather from a sunny 20degs to a wet and windy 5degs. Keep an eye on the forecast to decide if you will be running in the leggings and beanie hat or your shorts and vest. Trying to decide on the day will add an unnecessary stress. Don’t overload with carbs the night before: The idea of carb loading has been a subject for debate for many years but generally opinion has turned away from carb loading. Certainly if you are used to a low carb diet it will not benefit to carb load the day before – your body can be shocked and then under perform. If you are used to a high carb diet then eat a normal size portion the night before. There is little evidence to suggest you can over load and store any extra energy – you risk feeling bloated and slow the next day. Plan your travel to the event: Make a plan of how you will get to the event without hastle or delays. Getting there early allows time to warm up well and go to the toilet etc. It is amazing how the event can be spoilt by last minute panic and stress. Plan your food for the day: Depending on your start time and I think the GSR is quite friendly, you need to think when will you eat breakfast. Leave at least 1 hour between your last food in the morning and the start. Eat whatever you would normally eat on a training day, that is what your body is used to. Also plan how you will eat after the event. The hour after the finish is the “golden hour” when your body needs to rehydrate and absorb a healthy mix of carbs and protein to start recovery. Either have you supporters bring some food or plan to buy some on the day within an hour of finishing. Pace yourself: Try not to get carried away with the excitement on the start line. Whatever pace you plan to run at, try to stick to that plan. It is very easy to get towed along by other runners going faster than you want to go. Use your watch to start at your desired speed and save yourself for a big finish if you feel great in the last couple of miles. Take time to recover: Unless you are an experienced runner who is using this event as a stepping stone or training run, then you can expect to be sore for the week following the race. Take time to recover well. Don’t plan to run for a week afterwards, maybe a swim or a bike ride or even a walk is your best option during the following week and allow all the tight bits to ease out.